Home > News > Is my money as safe in a credit union as it is in a bank? Is my money as safe in a credit union as it is in a bank? One of the main reasons people place their money in financial institutions is safety. Your cash is much safer in a checking or savings account than it is stuffed under your mattress — and it’s nice to earn a little interest on your deposits, too. 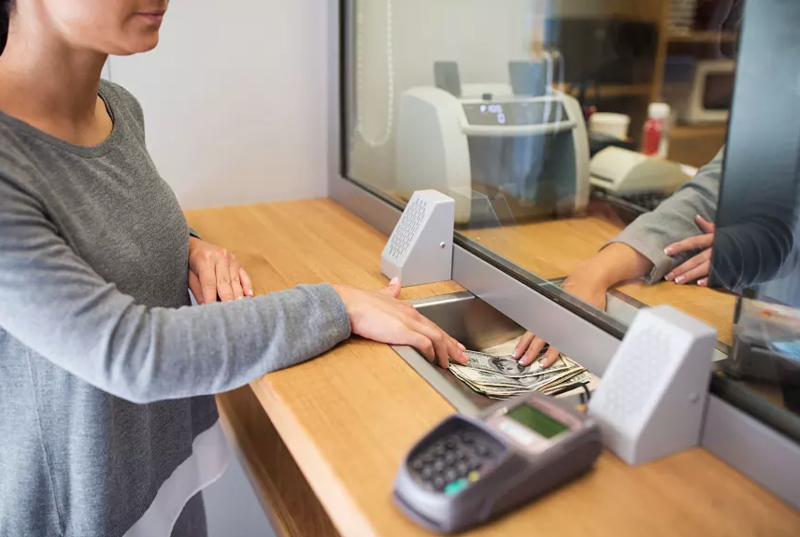 Although many people choose to deposit their money in a traditional bank, credit unions are becoming an increasingly popular option for both personal and business financial services. While credit unions work much like banks do, there’s still some consumer confusion about the differences between credit unions and banks — and about the safety of depositing money in a credit union. Credit unions provide many of the same services and products as banks, such as savings and checking accounts, loans and investments. The difference is in their ownership structure. Banks are owned by stockholders. Credit unions, which are not-for-profit organizations, are owned by their members, also called shareholders. When you join a credit union, you become a part-owner of the institution. This structure means credit unions can pay higher interest rates on deposits and offer lower interest rates on loans to its members. Banks must turn a profit for their stockholders, while credit unions work for their members. Yes. Your money is just as safe in a credit union as it is in a bank — as long as the credit union is federally insured. The U.S. government first began insuring financial institutions after the economic crash that caused the Great Depression of the late 1920s and 1930s. The widespread failure of U.S. banks caused mass panic, and depositors rushed to withdraw their hard-earned savings before the banks failed. These bank runs threatened to collapse the whole system. To prevent that, President Franklin D. Roosevelt and the U.S. Congress took a series of actions. One of them in particular — the creation of the Federal Deposit Insurance Corporation (FDIC) in 1933 — proved instrumental in stabilizing the nation’s banking system. Flash-forward to 2008, when the value of retirement accounts in the United States plunged 31 percent and home values tumbled, wiping out thousands of dollars in personal wealth. However, unlike during the Great Depression, depositors didn’t line up to pull their funds out of banks and credit unions because their deposits were backed by the federal government. If a bank should fail today, the FDIC covers deposits up to $250,000 per depositor. Likewise, the federal government also protects credit union members. Deposits up to $250,000 per depositor are covered by the National Credit Union Administration (NCUA). Consumers do not have to sacrifice the safety of depositing their money in an FDIC-insured bank to reap the benefits of credit union membership. The NCUA, established in 1970, offers credit union shareholders the same protections that the FDIC provides bank customers. If a federally insured credit union fails (a rare occurrence), the NCUA will pay members the insured amount of their account, usually within three days. The NCUA insures member shares and share drafts (savings and checking accounts), certificates of deposit and money market accounts up to $250,000 per shareholder per qualifying account. That means that an account held jointly by two people is insured up to $500,000. To determine the amount of insurance protecting your credit union shares, use the NCUA online calculator. Note that FDIC and NCUA insurance does not cover investment losses from stocks, bonds, mutual funds and annuities. If you’re shopping around for a new financial institution to do business with, consider joining City Credit Union. Your money will be just as safe, plus you’ll reap the many perks of a credit union membership. To learn more about the benefits of a City Credit Union membership, click here.